Boat dollhouse shop pier 42 S.F. "This is the earliest surviving photograph of Eric Lansdown working in the boat shop about 1974. 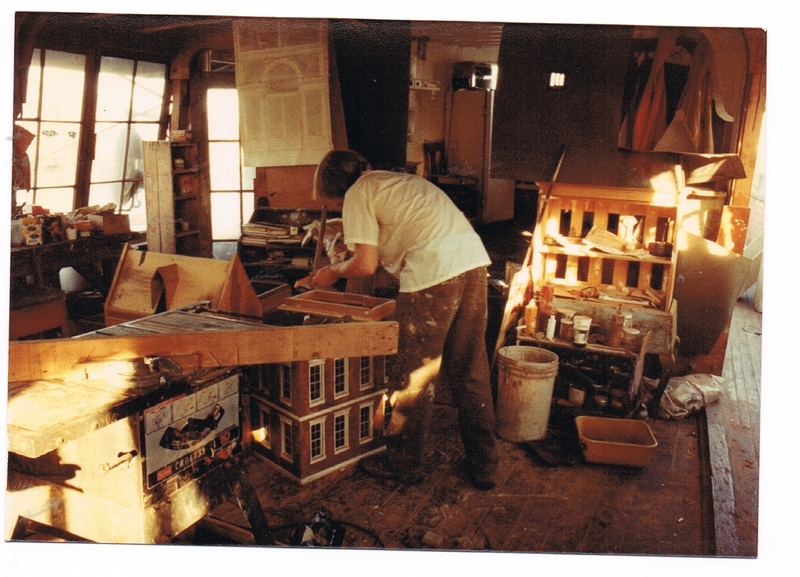 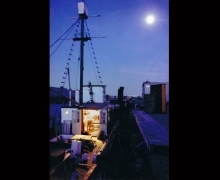 One can just barely see him in the cabin working late on a birdcage....."
"Eric Lansdown building a solid roof on the old boat. 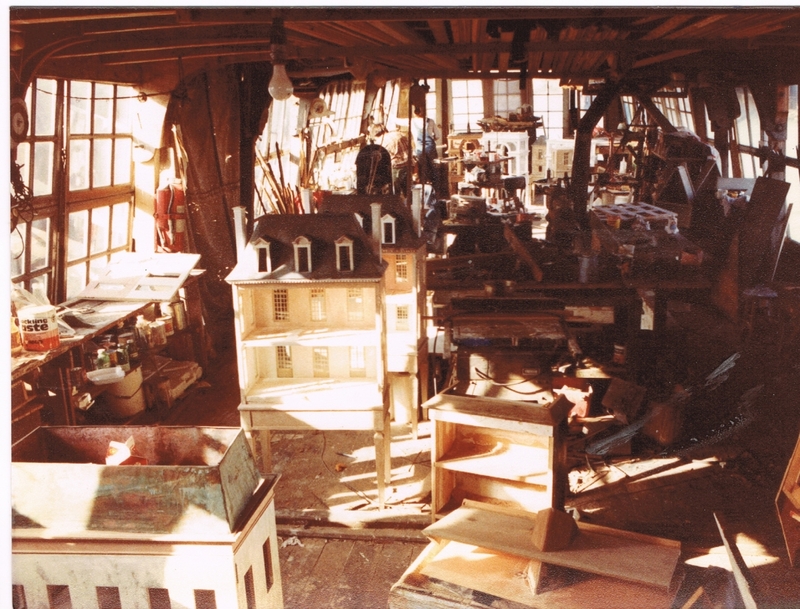 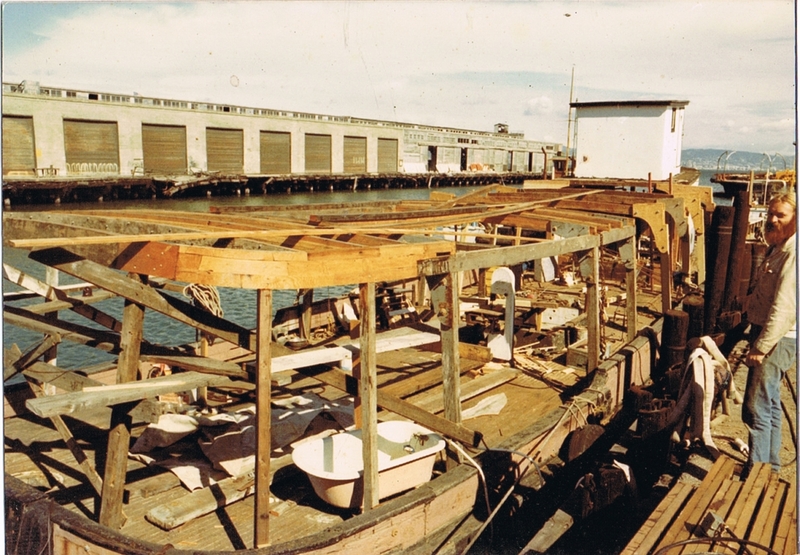 This was a new beginning after working under a tent for a few years....."
"Lots of projects under way, Eric Lansdown bending over his work about 1980 on the boat shop in San Francisco....."
"Eric Lansdown and an assistant working in the background. In the foreground one can see little chateau and one with a real copper roof made from old gutter. 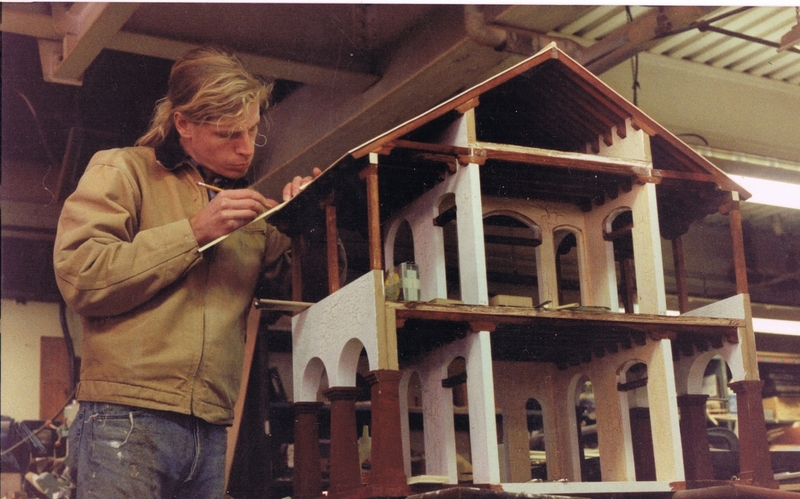 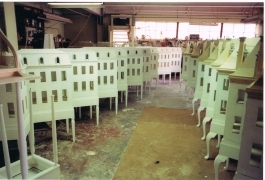 The wood used here was also recuperate material....."
"Eric Lansdown details one of his first Arch des Triumph series. 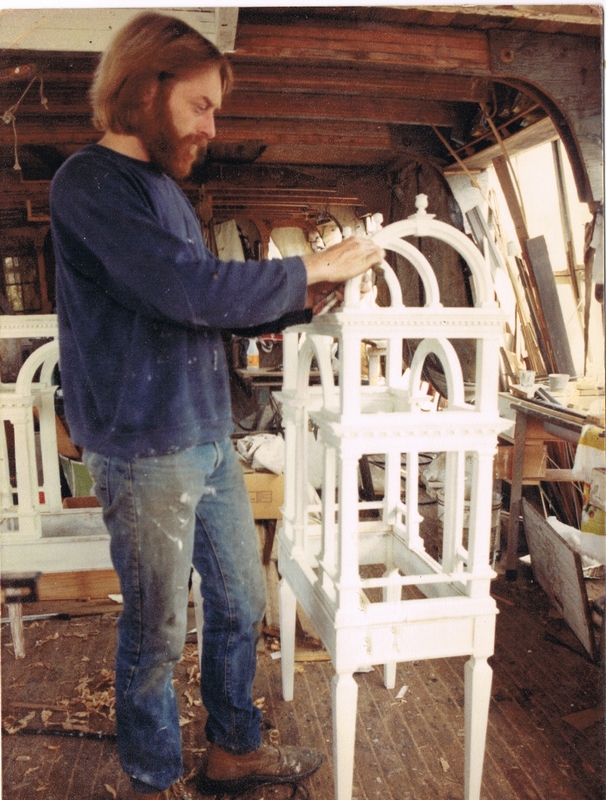 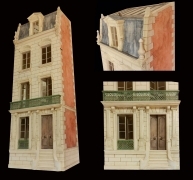 These were hand strung with wire and painted faux marble....."
"Eric Lansdown moved his work shop to Hunters Point Shipyard in San Francisco and by 1983 there were streets of chateaux!...." 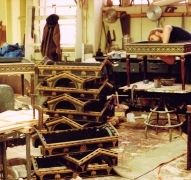 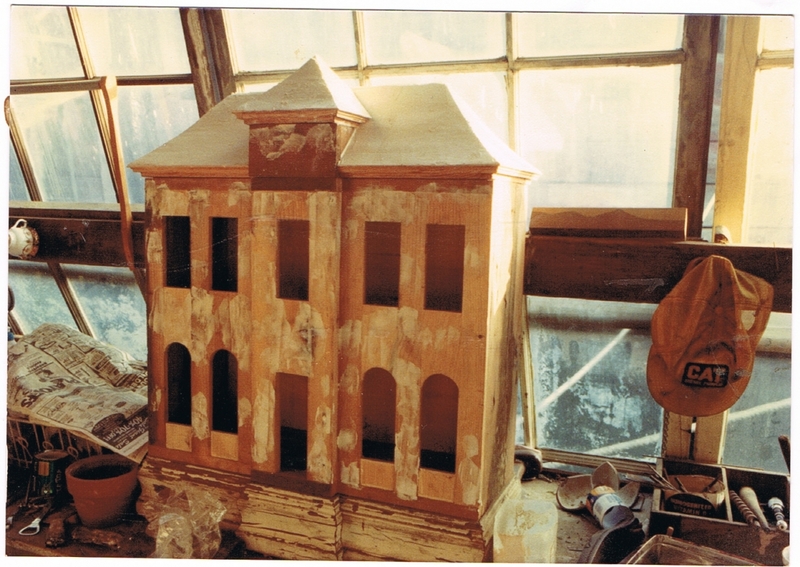 "Eric and Jessica Lansdown painting a television cabinet at the Hunters Point shipyard studio....."
"This is Tom Skinner working with Eric Lansdown building Regency bird cages...."
"Eric Lansdown working on a Gothic Octagon built to be installed outdoors....."
"Alan Farmer helping Eric Lansdown build the Hacienda for Eleanor Ford. 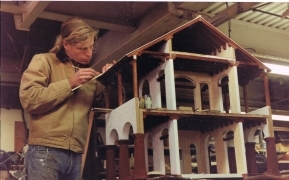 ...."